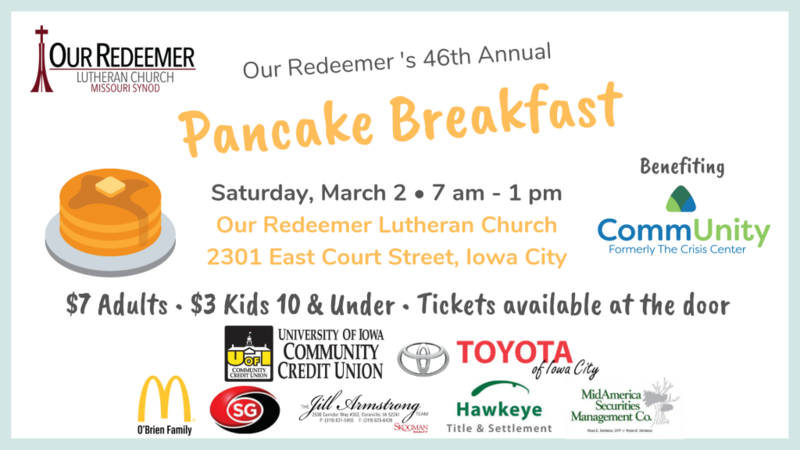 Join us Our Redeemer’s 46th Annual Pancake Breakfast Fundraiser! RSVP via Facebook for event reminders. Tickets available at the door or right now at CommUnity and Our Redeemer Lutheran Church. Breakfast includes all-you-can-eat pancakes with toppings and fresh pork sausage. Coffee and condiments are generously provided by O’Brien Family McDonalds.